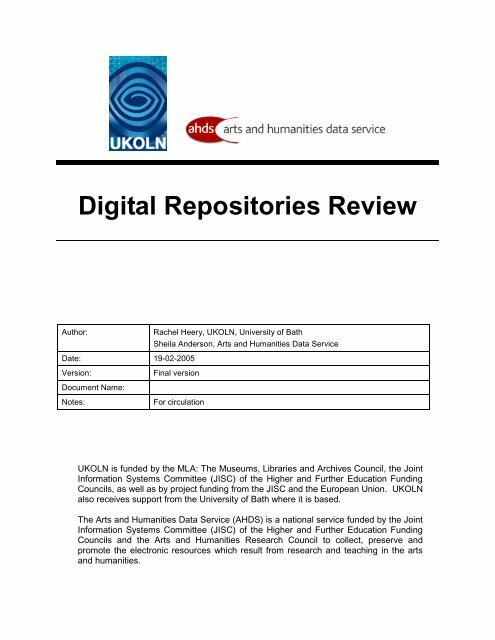 Digital Repositories Review Author: Rachel Heery, UKOLN, University of Bath Sheila Anderson, Arts and Humanities Data Service Date: 19-02-2005 Version: Final version Document Name: Notes: For circulation UKOLN is funded by the MLA: The Museums, Libraries and Archives Council, the Joint Information Systems Committee (JISC) of the Higher and Further Education Funding Councils, as well as by project funding from the JISC and the European Union.  UKOLN also receives support from the University of Bath where it is based. The Arts and Humanities Data Service (AHDS) is a national service funded by the Joint Information Systems Committee (JISC) of the Higher and Further Education Funding Councils and the Arts and Humanities Research Council to collect, preserve and promote the electronic resources which result from research and teaching in the arts and humanities.